Season 2 took players into the heart of Denver, the Treaty City where they got tangled up in the gangs and crime syndicates, all the while dodging boarder patrols as they hopped through the various sectors. A simple smuggling job. Get the goods from the Koshari. Deliver it to the Mafia. Avoid the Yakuza, the Triads, the UCAS border patrol, and the Zone Defense Force. Just another day in the Front Range Free Zone. 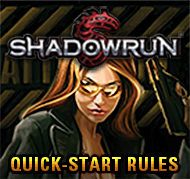 Revenge, corporate interference and dealings with the mafia, it’s all part of the day to day life of shadowrunners. When a high-ranking executive gets involuntarily extracted though, it’s time for a team of deniable assets to bring him back. The shadows can be a dirty place to make a living, but a runner’s got to make end’s meet somehow. When opportunity calls, you answer. But when answering that call involves extracting an eleven-year-old girl as part of an elaborate and bizarre extortion scheme, the shadows can get much dirtier… and some stains can never be washed out. The fewer strings attached to a job, the better. At least that’s what you’ve been telling yourself. Now you’ll find out if having the power in your hands will be everything you expected, or just a shortcut to electrocution. When a ranking hacker of the Mob becomes prime suspect in a crime he didn’t commit (this time), putting heat on the business, you are called in to deliver some family justice against those who framed him. When the choice comes down to your reputation or your life, most runners choose to keep breathing. Now a team is needed to find out why a smuggler cut his losses and ran at the first sign of heat. An innocent little girl is dead, and a killer still lives. A local arms dealer out for vengeance intends to fix that. 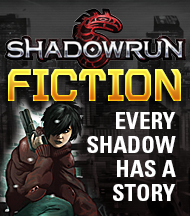 To right this grievous wrong, a team of shadowrunners are going to have to help her chase The Dragon. Thousands of tunnels in a forgotten sewer system. Seven lost explorers. One survivor. Boy meets girl, boy falls in love with girl. Girl kills leader of boy’s gang to promote him. Can these two lovers survive go-gang politics long enough to unite their warring gangs or will they be subsumed in the violent struggle which is everyday life in Aurora. Who said you should never mix business with pleasure? After dealing with a timeless love story, the runners hit a casino and brothel to steal a file. So, get ready to indulge in a little high-stakes gambling and spend some time in the tender care of the “employees.” Just don’t forget it’s a job! Mr. Johnson lost cargo high in the mountains. He wants you to go in, schmooze the snow bunnies, dare the expert runs, and watch out for snow snakes. Oh and bring the cargo back. It’s not just a job it’s a vacation. When you run in the shadows, a day where you aren’t working is a day were you aren’t getting paid. Sometimes survival means taking whatever run comes your way. When the choice is between wetwork and not eating, it isn’t much of a choice. DocWagon patients are going missing. No way it could be your fault, right? Maybe you should check into it, just in case. When precious resources are in transit in Denver, it’s difficult for the various factions to stay idle. When nearly every faction has a reason to try to get them, many decisions are left to the runners about their allegiances. Wheels within wheels. An unexpected Johnson leads to a messy situation. Who’s pulling whose strings? You’ll need to answer that before the Yakuza lose their patience. As a fierce storm hits Denver, new opportunities arise for the team. Of course, some days just getting to work can be an adventure. Deniable assets work on jobs that require out of the box solutions. When the Johnson says “by any means necessary,” that just opens the door to choices and trouble. Everybody hates their job sometimes. One poor wageslave just decided to do something about it… only now his boss wants YOU to do something about THAT. What could be simpler? Do a little research, play a little follow the leader and come home. The job is even easier when you’ve eyeballed the principals beforehand. But you know what they say about mice, men, shadowrunners and their carefully constructed plans. Sometimes a run goes well. Other times it goes badly. Then, there are those times where you get caught up in the middle of someone elseÕs run. Those you try really hard to forget. Good luck forgetting! How does the old saying go? “Steal from me once, shame on you. Steal from me twice, shame on me?” How about the third or fourth time? How many times in a row can you steal the same thing from the same people and not get caught. Wanna find out? The road to power has had its own set of hardships and now alliances must be reforged or broken. Be careful of which turn you take, be cause it can all come crashing down. The shadows have heated up, and it may be time to leave while you can. The question becomes, is it time to hold ’em or time to fold ’em? 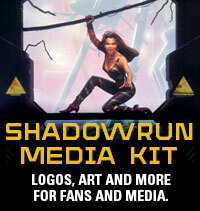 If you have other questions, send an email to the Shadowrun Missions Coordinator.